Madhya Pradesh (MP) GK Quiz No. 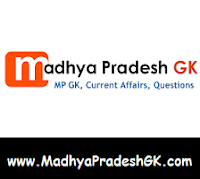 9 with Answers : Madhya Pradesh (MP) Samanya Gyan Quiz, Hindi GK Quiz Objective Questions with Answer for all competitive examination of MP State Government, MPPSC, MP Policem IBPS, SSC, BSF, Police Bharti, Teachers Exam, Admin services, State PSC, Bank, IBPS, CTET, MPTET and other examinations. This Madhya Pradesh (MP) GK Quiz or MK GK Sample Paper Question and Answers is based on MP SI Exam Paper 2012 held in previous years. Here is Sample Question Paper for all competitive examinations. Q.1 Government of India calendars show dates both in Christian era (AD) and Saka era In which year did the Saka era start? Q.2 Who was the first woman ruler of India? Q.3 Who founded the Chalukya dynasty in South India? Q.4 A heater running on 220 volt takes 5 minute to boil a quantity of water If the heater is run on 110 volt instead of 220 volt how much time will it take to boil the same quantity of water? Q.5 A GM counter is used for detecting? Q.6 In which organ of the body is the red blood corpuscle made? Q.7 The edible potato is the modified form of which part of the plant? Q.8 What is the main constituent of ‘Gobar gas’ (biogas)? Q.9 What is the ‘non-stick’ substance used in cookwares? Q.10 The gas used for cooking (LPG) is chiefly a mixture of?